The US, UK and France coordinated to launch strikes against targets within Syria in response to an alleged chemical weapons attack by the regime of President Bashar al-Assad. US officials at a Pentagon briefing Friday described the strikes as a joint operation consisting of British, American and French forces. “Today, the nations of Britain, France, and the United States of America have marshaled their righteous power against barbarism and brutality,” US President Donald Trump said during a separate announcement from the White House. 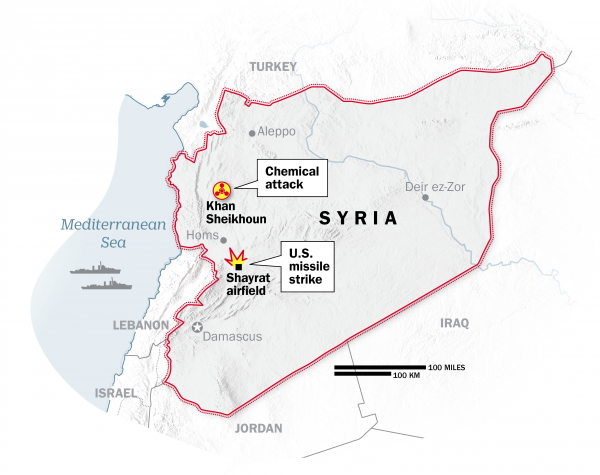 In announcing the action, Trump said he had ordered “precision strikes on targets associated with the chemical weapon capabilities” of the Syrian regime. And a chemical weapons equipment storage facility and command post near Homs. Syrian state TV said missiles targeting Homs were intercepted and did not cause damage. CNN has been unable to verify this report. Russia’s Defense Ministry said most of the missiles fired by the US, UK and France were shot down by Syrians using Soviet-era air defense systems, according to a report from state-sponsored Sputnik News. Three civilians were wounded in Homs after “several” missiles were intercepted by Syria air defense systems, Syrian state TV said. Witnesses on the ground in Damascus reported hearing explosions in the Syrian capital, where more than a million people live. At a Pentagon briefing, Dunford said “this wave of airstrikes is over,” but defense officials added they are prepared for a sustained campaign until the Syrian regime ceases its alleged use of chemical weapons. Military and defense officials told CNN that at least one US Navy warship operating in the Red Sea participated in Friday’s strikes, as well as US B-1 bombers. France deployed Rafale and Mirage fighter jets, French presidential sources said. French naval forces in the Mediterranean also were involved, French Defense Minister Florence Parly said. He said normal communication lines were used in the run-up to the strike to ensure clearance of airspace, but targets were not coordinated with the Russians. Paris and its allies warned Russia beforehand because they wanted to avoid any escalation of the Syrian conflict, Parly said. Have Syria and Russia responded? He said the strike had been carried out “without the sanction of the United Nations Security Council, in violation of the UN Charter, norms and principles of international law,” and that Russia was calling for an immediate UN Security Council meeting. The panel will meet at 11 a.m. ET, Sweden’s deputy ambassador Carl Skau tweeted Saturday morning. “Important to now avoid further escalation, that the UN-led political process can continue,” he posted. Syrian President Bashar al-Assad said the airstrikes would not stop him from “fighting terrorism” across the country, according to Syrian state TV. 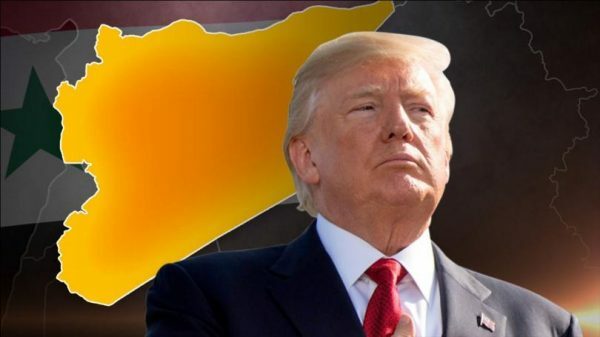 The Syrian Foreign Ministry said the joint US, UK and French airstrikes were a “flagrant violation of international law and the principals of UN charter,” according to the state-run Syrian Arab News Agency. An official with the US-led coalition fighting ISIS in Syria said pro-regime and Russian forces in Syria were showing no signs of retaliation against US and coalition troops in the country. What have we learned about the Douma attack? 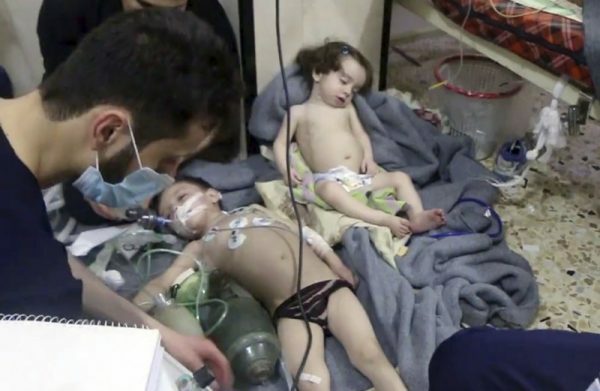 This image made from video released by the Syrian Civil Defense White Helmets, which has been authenticated based on its contents and other AP reporting, shows medical workers treating toddlers following an alleged poison gas attack in the opposition-held town of Douma, in eastern Ghouta, near Damascus, Syria, Sunday, April. 8, 2018. More than 70 people in Syria’s rebel-held town of Douma reportedly died while sheltering in basements. Of those, 43 showed symptoms consistent with exposure to “highly toxic chemicals,” according to the World Health Organization (WHO). The WHO, citing reports from health partners on the ground, also said about 500 people went to the hospital showing signs of exposure to “toxic chemicals” in Douma. A team of inspectors from the Organization for the Prohibition of Chemical Weapons (OPCW) were en route to the site of the alleged attack before the strikes were launched against Damascus and Homs. The OPCW said its deployment would continue as planned. The French Foreign Ministry on Saturday released a report into the suspected chemical attack in Douma which stated that France assessed “with a high degree of confidence” that it was carried out by the Syrian regime. French experts analyzed testimonies and symptoms identifiable in images and videos taken in Douma, the Foreign Ministry said, but did not have access to samples from the ground. What we most importantly know is that UK-US-France bombed Syria the night before the inspectors arrive.